This post is sponsored by Kikkoman and all opinions are my own. We love Kikkoman Soy Sauce so much in this house and can literally go through a bottle in such a short amount of time! 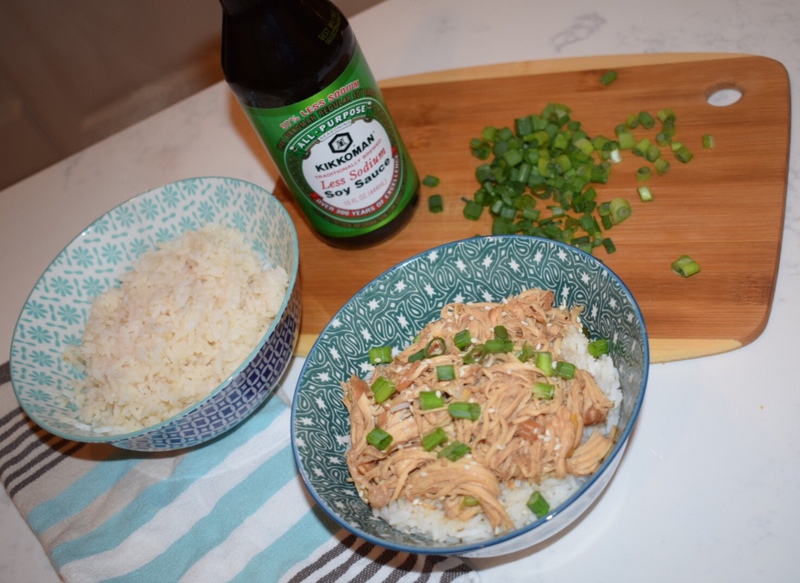 I also have a passion for creating new crockpot recipes and when Kikkoman offered the opportunity to work with them, I immediately started creating this Crockpot Soy Sauce Chicken recipe. I mean who can resist anything covered in soy sauce? This dish is exactly what you think it would taste like, but has a slightly sweet flavor enhanced within. 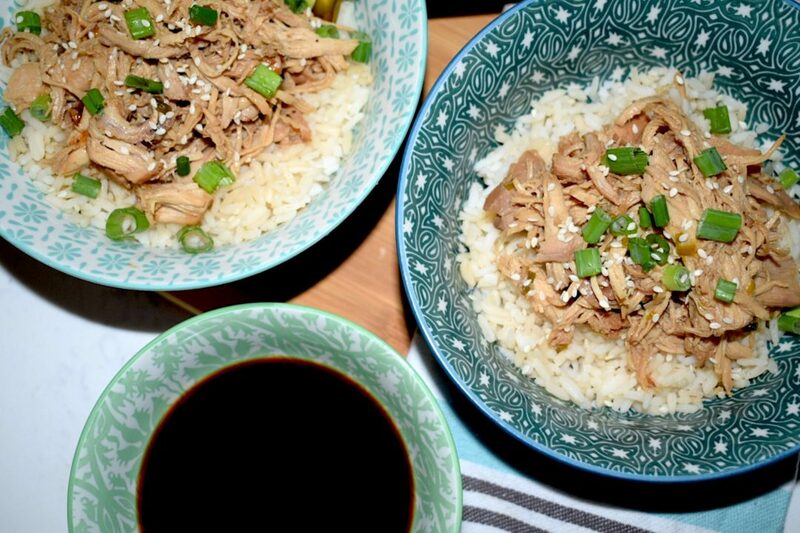 One of my goals here at Crockpot Empire is to make delicious dishes that are full of flavor, but with as minimal ingredients as necessary. Most of us are on budgets and time constraints, so I try to create meals that are satisfying and worthy without sacrificing flavor. I will say that this isn’t a “true” representation of what Cantonese soy sauce chicken traditionally is, and the ingredients vary from various cultures, from spices like cinnamon, five spice powder and one to two pieces of star anise. 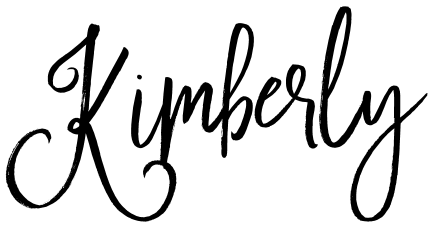 I chose to keep it simple based upon my love for five ingredient or less crockpot cooking, so feel free to get creative and add in the above if you’re feeling fancy! 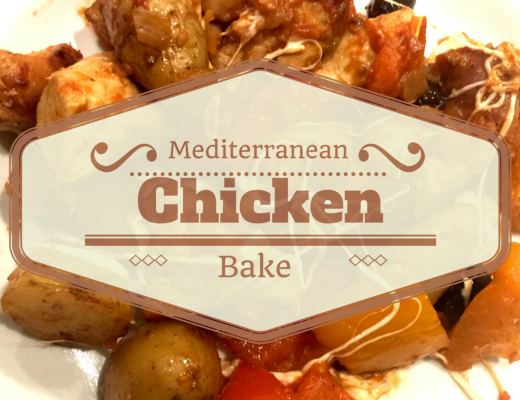 I chose to use chicken breasts and thighs to see if the flavor would be enhanced with the dark meat. I will say the combination of the two different meats paired well together, but you can use boneless chicken or all thighs depending upon your preference. 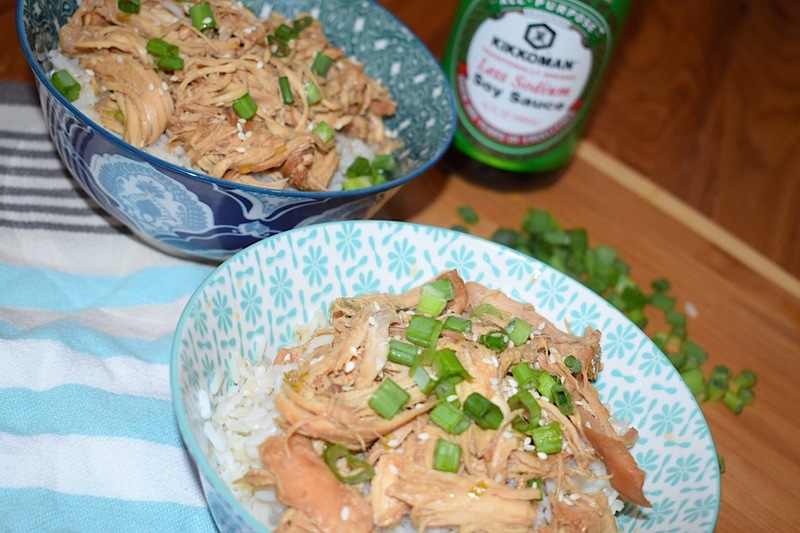 This slow cooked soy braised chicken is tender and not too overpowering. 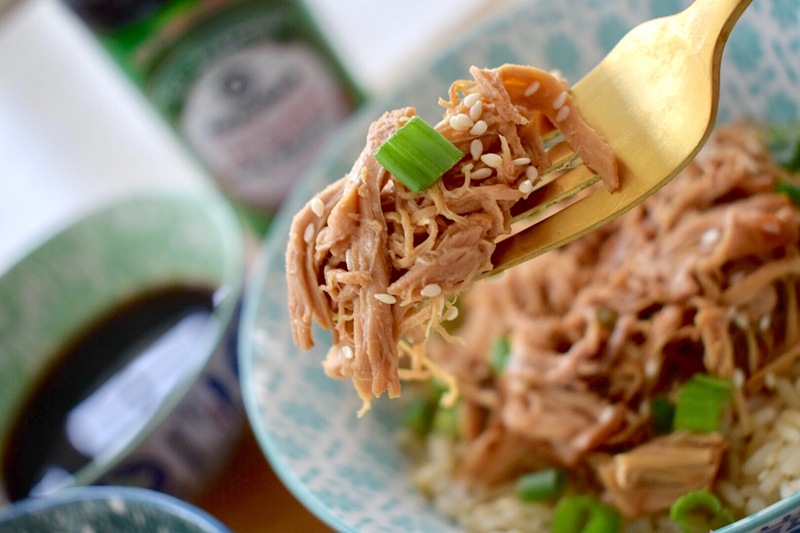 If you’re anything like Fred and me, you will choose to even add more soy sauce before eating! I am serious when I say we love our Kikkoman! 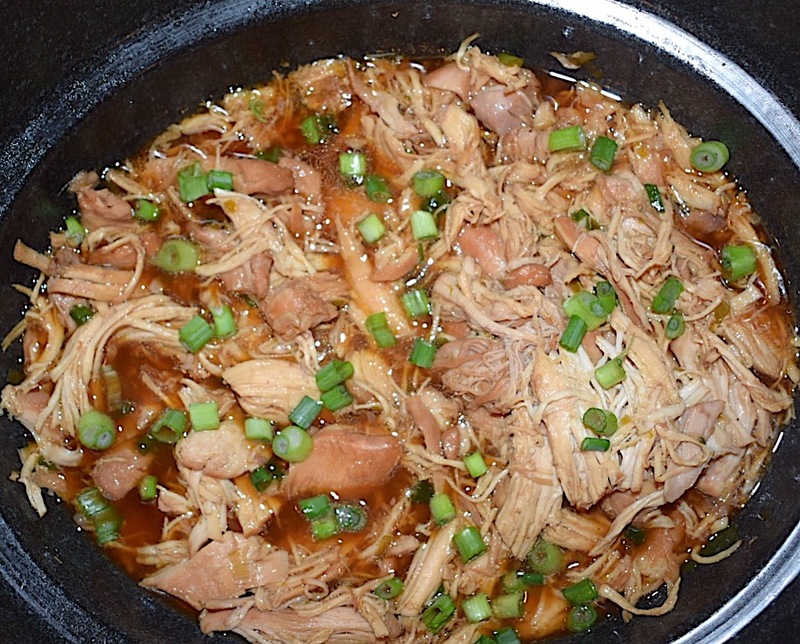 I also use it as a main ingredient in this Crockpot Bourbon Chicken recipe that you can try, too! I hope you are having an awesome week! 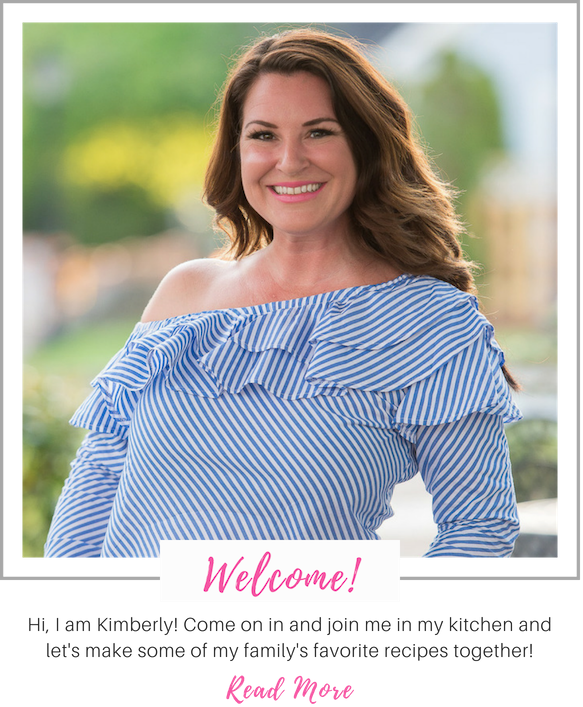 I am headed to the beach tomorrow morning for a girl’s getaway and can’t wait to share all that we did while on #30A. What are you and your family up to this weekend? See you back here next week, and as always thanks for stopping by! In a large bowl, combine soy sauce, water, white and brown sugars, garlic and ginger. Mix well. 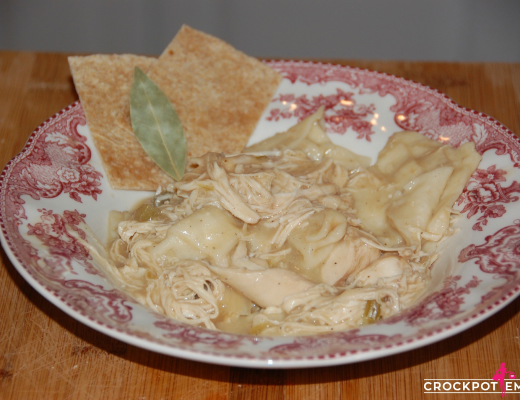 Add chicken to crockpot. 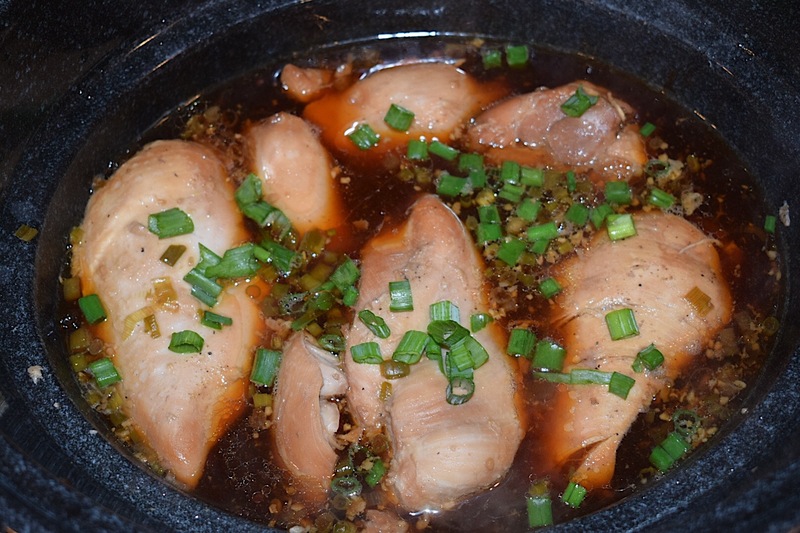 Pour soy sauce mixture over chicken. Cook on low 4-6 hours or high 6-8 hours. Serve with rice or noodles and garnish with green onions and sesame seeds if desired. 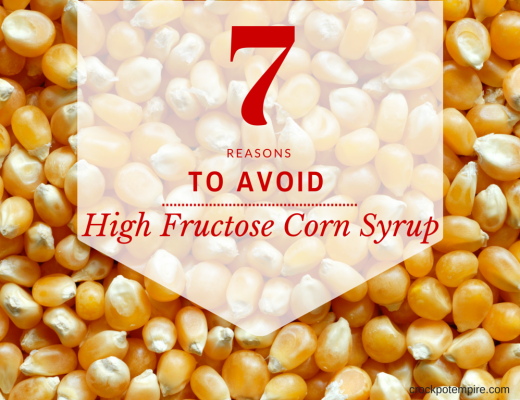 High Fructose Corn Syrup: 7 Reasons to Stay Away!!!! I’m a sou sauce addict! This sounds awesome and I can’t wait to try it! YAY! Then you are sure to love it, Gentry! As mentioned in the post, we put extra on it at the end before eating it! I recommend the more soy sauce the better! HA! Enjoy! 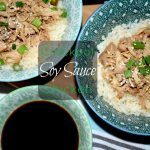 I am trying to get the soy chicken recipe but the recipe itself is not there with your blog post. Is there a link for it you could please send. Jen, Thank you so much for stopping by and bringing this to my attention! It is updated now and the recipe is there! I hope you enjoy it as much as we do! You wrote Cook on low 4-6 hours or high 6-8 hours. Do you mean the opposite ? I’d like to try this recipe, but the recipe itself is not posted. Could you possibly post a link? Again, thank you for being the second person for letting me know that it wasn’t there even after I thought I fixed it! 😉 I hope you enjoy it! Hi Maggie, how did the cornstarch slurry work?